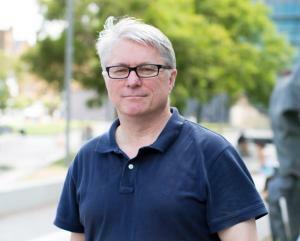 The inaugural head of the University’s School of Life and Environmental Sciences (SOLES), commencing in 2016, Professor Young is a biophysicist who works at the interface of physics and biology, using soil as a model system to examine functionality in complex porous media over space and time. Before joining the University of Sydney, Professor Young spent six years as a head of school at the University of New England, following extensive experience leading major research groups in his native country of Scotland. University of Sydney Vice-Chancellor and Principal Dr Michael Spence said: “Iain has significant experience in academic leadership, and inspires with a compelling vision of ‘knowledge for service’. Provost and Deputy Vice-Chancellor Professor Stephen Garton said: “Following 18 months as Head of SOLES, which makes up one-third of the Faculty of Science, Iain will bring to the deanship a deep understanding of research leadership and strategy, and an energy and passion for education, student experience and student outcomes. Professor Young said he was looking forward to becoming Dean of Science, describing Sydney as a great university with a remarkable history. “I am keen to be part of the team that defines its brilliant future,” he said. “The Faculty of Science carries out remarkable research and teaching, and we need to build on those activities by attracting the most creative and exciting staff to educate the students and provide a focus on excellence. “I’m keen to ensure that we develop a culture that encourages the best teaching practices, risk-taking, deep thinking and provides a foundation from which we can successfully set out to answer the most difficult fundamental questions, which will define the future of all on the planet. Professor Young will formally commence as dean on 12 July, when Professor Trevor Hambley’s term ends. “I am delighted Trevor will remain within the University community to continue his research,” said Professor Garton. “While there will be many opportunities to pay tribute to his achievements as dean, I would like to take this opportunity to acknowledge his enormous contribution in many areas, including taking a major leadership role in the Science in Australia Gender Equity program (SAGE), his devotion to improving Work Health and Safety in the faculty, and his central involvement in significant change programs, notably the creation of SOLES.